At 2,700 meters the highest mountain of Styria presents itself with a legendary natural scenery and a panoramic view over the mountain peaks of Austria. Breathtaking moments are guaranteed within this scenery. 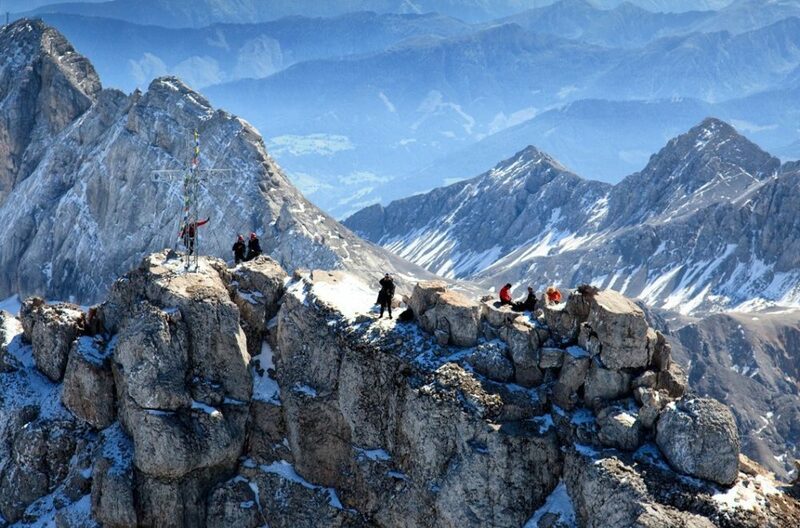 That alone would be reason enough to climb the Dachstein mountain. Attractions such as the the Sky Walk or the Ice Palace make your mountain experience even more exciting. 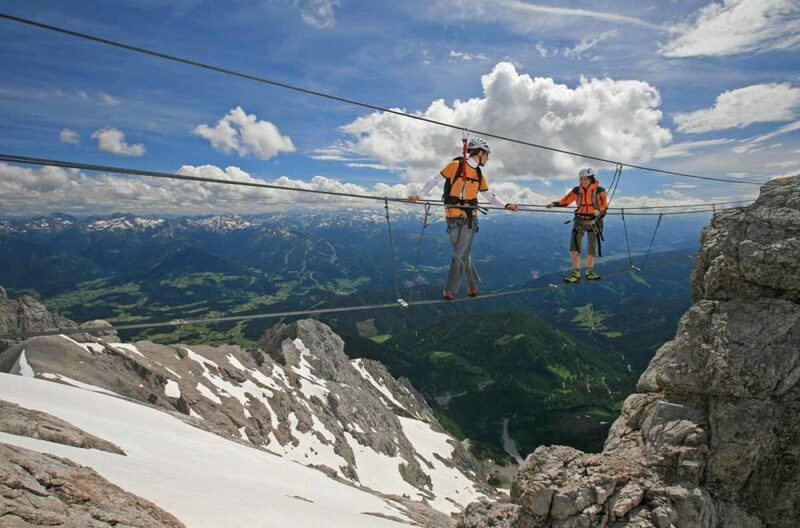 On the Dachstein 14 via ferrata, climbing tours, signposted glacier trails and countless hiking routes are awaiting you. And for all mountaineering fanatics in the truest sense of the word the way is straight up. 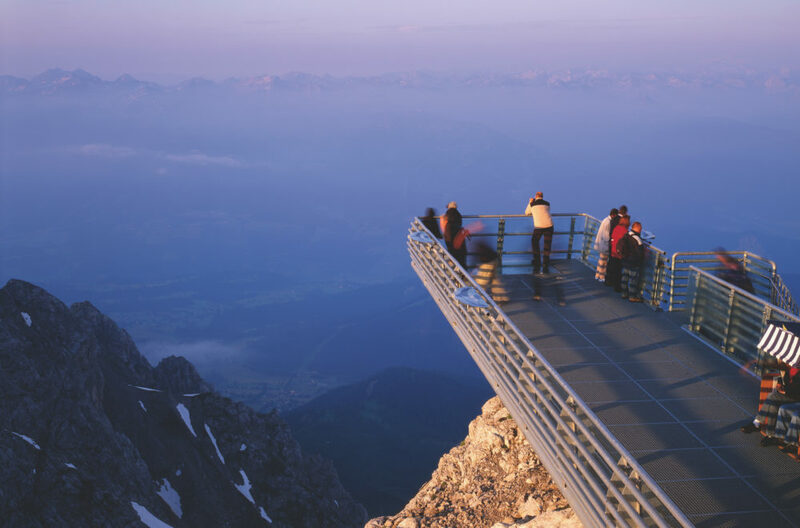 And best of all: There are breathtaking views from the ARX hotel onto the Dachstein mountain! The journey to the Dachstein cable car is only about 30 minutes by car. You can also use the public bus. We highly recommend a gondola reservation. 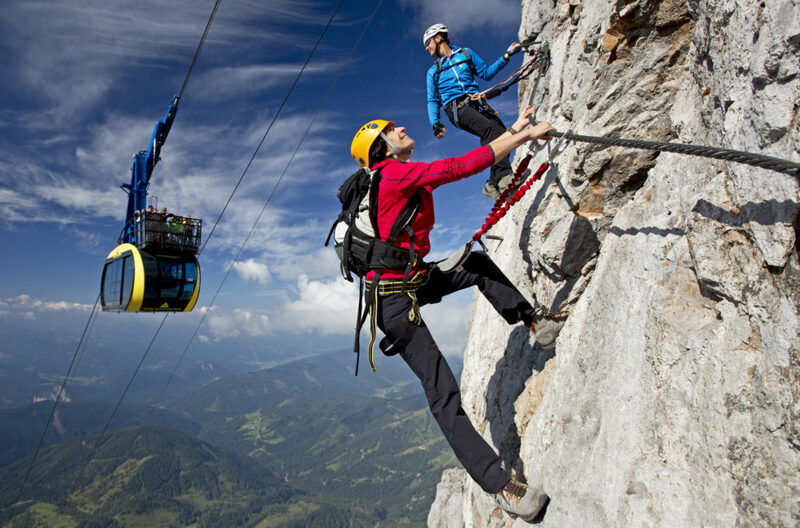 Our tip: Holder of the Schladming-Dachstein Summercard (included with a minimum stay of 2 nights) are entitled to enjoy over 100 leisure activities free of charge including 1 time ascent and descent on the Dachstein.